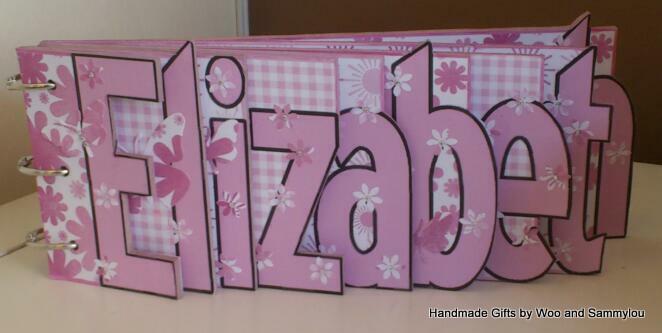 Following on from my last share from Funky Hand I really wanted to share the wordbook below which I made recently for my sister to welcome a special little girl into the world. Possibly the longest wordbook I have made so far, I decided that I wanted to use chipboard and went through around three scalpel blades just cutting the base out! The papers I used are from the Wishes and Kisses cd-rom and are just great for a baby girl. My sister was over the moon with it and if the new parents loved it as much as she did then I am a happy bunny!